I contacted Glico, the producer of Pocky to ask about the halal status of Pocky products. 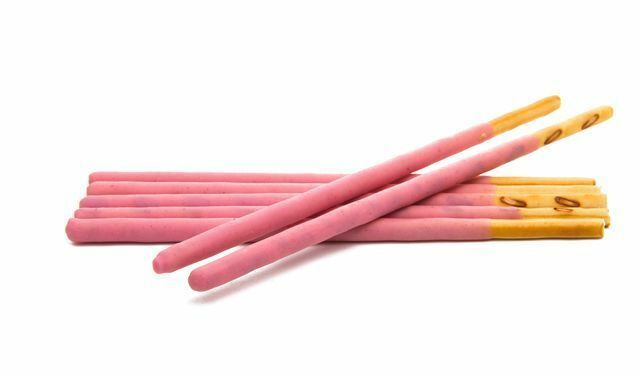 The company responded by saying that although there are no animal products of any kind used in the production of Pocky, one of the ingredients, 香料(flavoring), contains alcohol (This ingredient appears even in standard, chocolate Pocky). It appears that Glico Indonesia has a halal certification, but the same is not true in Japan. if you were hoping to buy Pocky in Japan, unfortunately you will be out of luck. Although Calbee appears to sell halal versions of this tasty shrimp snack in Thailand and Malaysia, the crackers sold here in Japan are haram. Tokyo Banana is one of the most popular omiyage (souvenirs) to bring back from Tokyo. Unfortunately, the original cake shown above, and most of the other products contain gelatin or unspecified oil products that are uncertain. However, it is unclear whether or not the Castella Cake product comes into contact with the other products containing gelatin, so proceed with caution. Check out the link to the website below to see details and ingredients of all the Tokyo Banana products. Although products such as the popular green tea Kit Kat appear to be free of haram ingredients, an official statement on Nestle Japan's website states that Nestle Japan does not have any halal certification. Also, according to a post on Halal Japan's facebook page, it appears that even kit kat products that do not contain haram ingredients are mixed with other products that contain shortening on the production line. 6. Kinoko No Yama: Halal! Another Calbee product, Jagabee sold in Japan is also, unfortunately, haram. If you buy the tasty potato sticks in Thailand or the Philippines, you should be okay, but at the moment, Japan still has some catching up to do. 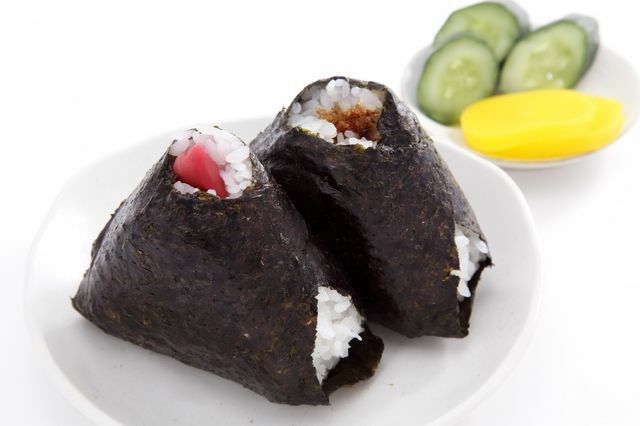 Onigiri is a very simple Japanese snack that consists of a rice ball filled or topped with various ingredients. They can be found all over, including at every convenience store. Although it would seem like the simple ingredients would be halal, many use seasonings that include alcohol (sake, mirin, etc. ), so it is best to be careful. Halal in Japan maintains a useful Facebook page that includes halal onigiri from the most popular convenience stores. Use it as a reference when choosing your onigiri! Mochi is a sticky rice cake traditionally made from pounding steamed glutinous rice until it forms into a stretchy, sticky dough-like cake. Mochi is enjoyed in many different ways, but one of the most common products you will see are mochi balls with a sweet filling of some sort. If the mochi was made in a more traditional way, then it will only contain rice and whatever fillings are combined with it. However, mass-produced mochi sold at super markets and convenience stores often contains emulsifiers that are unclear in their origin. 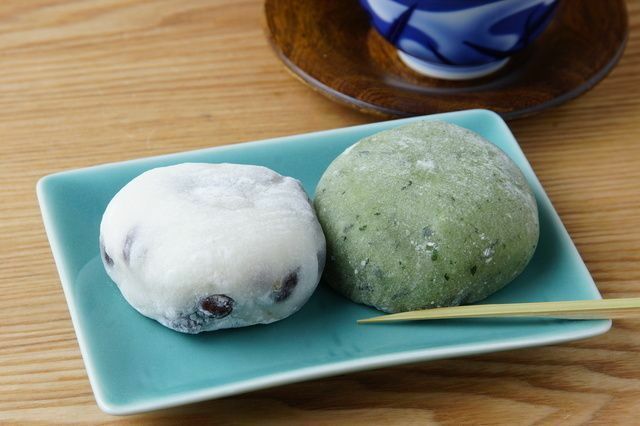 To be safe, you're best to buy mochi from a specialty store or wagashiya (store selling traditional Japanese sweets), as they are likely to use fresh, high quality mochi without added ingredients. I hope that this list of popular snacks and their halal status was useful to you! Finding halal snacks in Japan can be tricky, but I wish you the best of luck.